Sooo the last time around, I gave y'all a teaser on what's gonna happen at Row 101 Summer Popup. Now that the bazaar is done, I thought I'd do a post to slowly recount all the stuff I received so that y'all have a good idea of what to expect the next time around that they do something like this. I also felt that I received a lot of very interesting items that people might actually be looking for or needing, so I thought I'd slowly talk about them today. Sooo this is an ultimate gamechanger that I got. This is PoppyPH's Felt Bag Organizer. 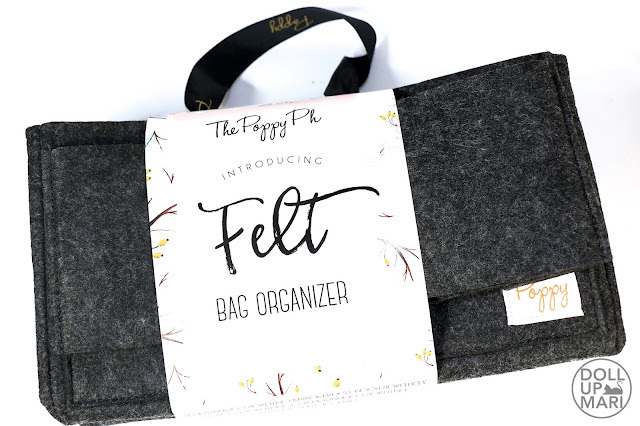 This is made of stiff felt, so it is not just an organizer but it also has a bag shaping function. My mom has this super floppy Coach bag and now it looks so crisp and structured thanks to this organizer. If you have a floppy bag, this is PERFECT. As in suuuper perfect!!! I actually struggled so much to put the cardboard label back on this thing because it was soooo rigid and shapely that it just wouldn't flatten up for me to be able to put the cardboard! Mom and I struggled and gave up trying to put it back to its original plastic bag because it's sooo shapely. This is the best organizer you can ever own if you have floppy bags by default or bags that have drooped. This needs to be handwashed, so that's something to consider. You may also need to purchase a lint roller if you're going to reaaally use this for wear and tear so that you can keep dust and debris off of it for a good amount of time. 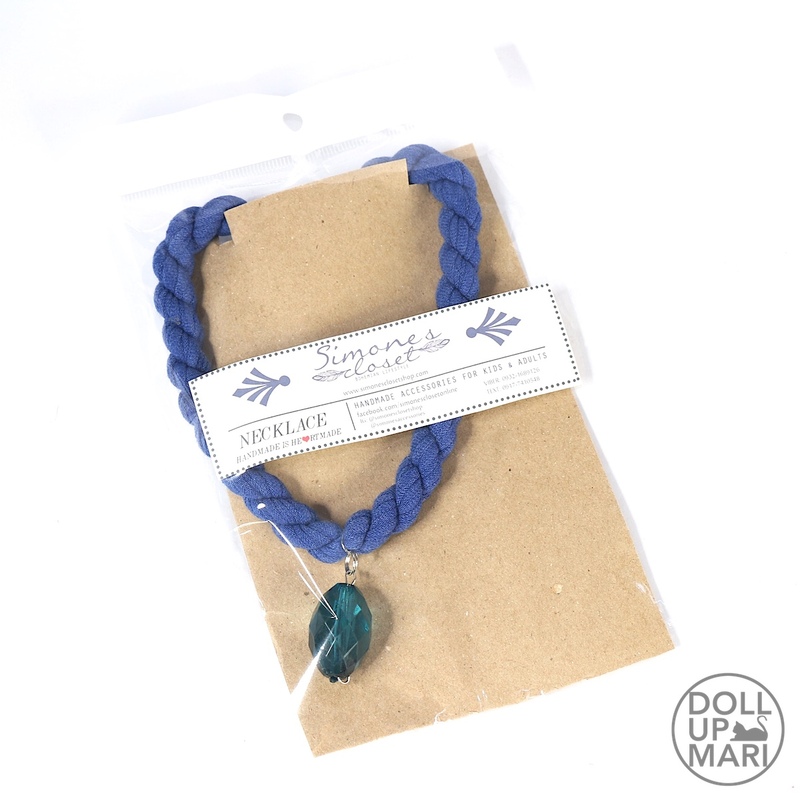 Weee, I also received this necklace from Simone's closet. I also got this pair of cloisonné bead earrings from Retablo Manila. If you're looking for pieces with Asian touches to them like the cloisonné beads going on here, then this store is the right place to browse. They have all sorts of Asian touches to their accessories. I also got a Leaders Hair Mask! I'm slowly learning more about Leaders because it's a store all about face masks. I am sooo consistent and persevering when it comes to skincare, but I always find myself forgetting to use face masks. I've tried to implement a FaceMaskFriday program for myself, but plenty a times, when we leave the house Friday night, I usually don't have the energy nor the motivation to use a facemask when I get back home. But it's a gradual process. Applying skincare used to not be in my system, but now it's automatic on me. I hope someday masks will feel natural and automatic to me, too. I am sooo curious to try this Black Tea facial wash I got from Tony Moly!!! I love Tony Moly's skincare as I am suuuper in love with their AC Control line. I am also a big fan of their honey cream and Galactomyces cream, so there's that. I love tea so much so this should be interesting!!! This Zero Sebum White Sebum Clear speaks to me soo much because I think those little white thingies on the chin are the hardest to get rid of. This product promises to mitigate that. I am sooo gonna freak out if it succeeds and gets rid of the white thingies on my chin!!! I am also excited to be trying out this tube of Yuskina cream. This is my first time to receive one, let alone see one. I have been hearing that this is crazy good. I have even heard someone call this as Lucas Papaw ointment on steroids because it's supposedly really good. We shall seeeeeee!!! Another interesting item I got is this Katre genuine leather pouch. This size, to me, is the perfect size for storing currency. This is flat and not really what I'd envision to use to store bulky items. But for storing currency, this is perfect. I think these kinds of items are perfect for safety deposit boxes because usually it's an SDB wherein you'd store currency and for long periods of time. The problem with synthetic leather is that after X number of years, it will disintegrate on its own. It'd be sooo annoying to like leave currency in a pouch in your SDB, forget about it, then discover the pouch in shreds sometime later. So this is perfect for such applications. I also think of currency so much because if you've seen my past post about this bazaar, Katre also sells currency pouches. Like it's one single pouch but it has four differently colored zippers that lead to four compartments, so you can store four kinds of currency all at once whether you're traveling or are doing currency exchange as a business. Last but definitely not the least! Now this is another gamechanger in this house! My mom is a total fan of Goody Ouchless, but within 3 days of using this Tangle Teezer, she has been converted (well sort of). She loves to use this after her baths because she has curly hair and her hair usually gets tangled onto her brushes after her bath. She still loves her Goody brush, but she looks for this everyday to brush her hair now. Personally, I have bleached hair, so while my hair is Chinese straight by default, I always have a lot of tangled hair when I wake up in the morning because my hair is drier than the usual. I look like how the girls on comedy shows look like with their hair all tangled and fluffed up and standing up and all of that in the morning. 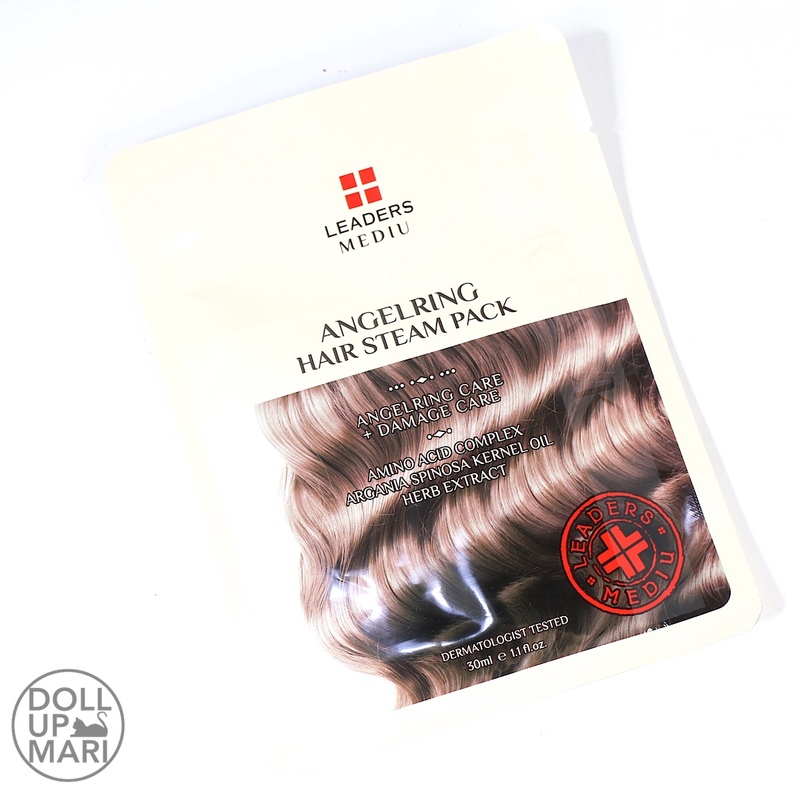 This has been of help to me as well because when your hair is damaged by bleach, you no longer want to damage it more by yanking it carelessly with a normal brush and breaking even more hair strands. So yaaay, this is my haul post! Be sure to always look out for their events because they always have interesting stuff in their bazaars!